← 100 Mile and 50 Mile Finisher Awards! I created Tailwind for racing the Leadville 100. It’s designed to overcome the nutrition problems faced by endurance athletes in events like 50’s, 100’s, 24-hour, and multi-day epics. Tailwind combines complete fuel, hydration, and electrolytes in a tasty drink that won’t turn your stomach into a brick. 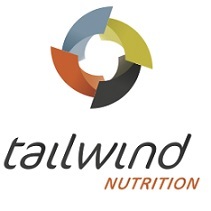 Read on to learn how Tailwind helps athletes get endurance nutrition right. This entry was posted in Uncategorized and tagged 100 miles. 100 miler, electrolyte, electrolyte drink, endurance run, endurance running, fort clinch, fort clinch 100, liquid nutrition, run, runner, running, sports drink, Tailwind, Tailwind Nutrition, ultra marathon, ultra runner, ultramarathon, ultrarunner, ultrarunning, ultras. Bookmark the permalink.